Gabriella Salvete 141 | Light Your Nails! Today it's time for letter G in the Untried A-Z Challenge. My pick is Gabriella Salvete no. 141. Gabriella Salvete is a Czech brand inspired to Italian style. They actually moved their headquarters to Milan a few years ago but I've never seen their nail polish sold in Italy to be honest. I got this one from a Czech swapper. Gabriella Salvete no. 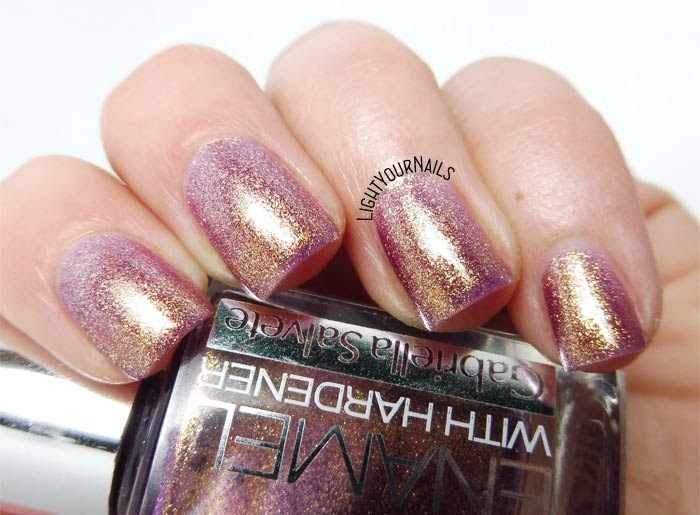 141 is a pink foil with a huge golden shimmer (or whatever you call it with a foil?). It's not a true duochrome but when you move your nails you either see it pink, gold or a transition between them. It's gorgeous. Application is easy but the formula is quite thin and takes 3 coats for complete coverage. Drying time is slow, I had to use Seche Vite to help. 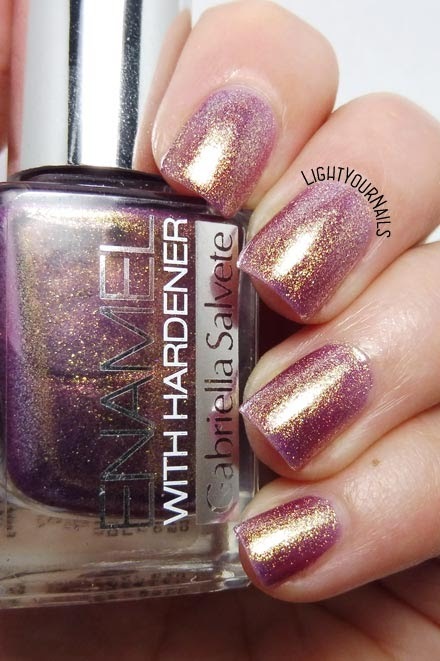 I looked for swatches of Zoya Faye online and this Gabriella Salvete is quite similar to some of them. I have no idea if they might be dupes. Anyway, it's really gorgeous and I can't stop staring at my nails. How do you like it? 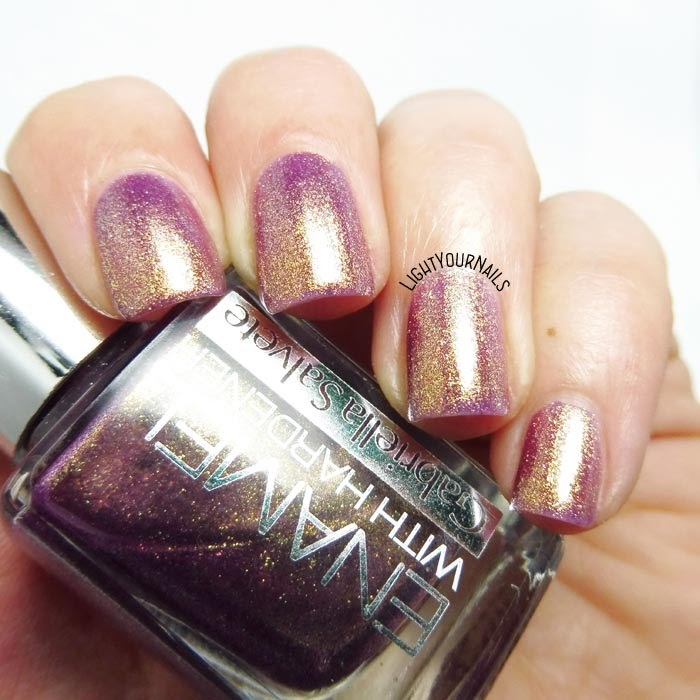 Maybe you own Zoya Faye and you could tell if it might be a dupe!